U.S. Lottery Pool. This is not free (there is a subscription fee plus cost of tickets), but winning the lottery would be even better, even splitting it. A philanthropist is helping needy people, one at a time. All you need to do is ask. The catch? You need to truly be in need! 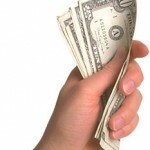 Search for unclaimed money that you may be entitled to… for FREE! National Association of Unclaimed Property Administrators. Search for unclaimed property for free!